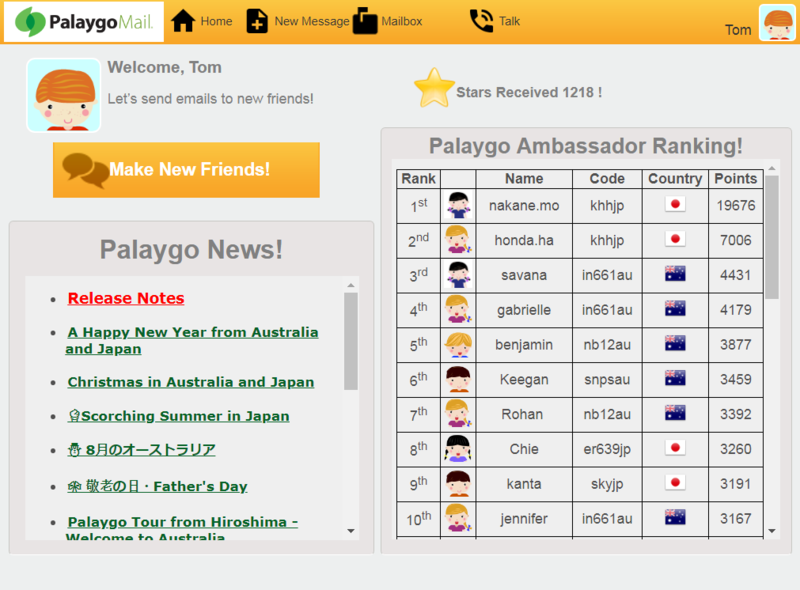 Palaygo now has a new look! We hope you will enjoy our visual redesign - new Icons & new User Interface. Highlights - Easier and simpler to use Palaygo! The new menu bar has been simplified - Home, New Message, Mailbox, Talk plus Avatar drop-down menu. 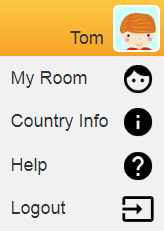 The new Avatar Drop-Down Menu - My room, Country info, Help and Logout. Support the 16:9 aspect ratio, such as Chromebook. The menu bar with new Icons - Home, New Message, Mailbox, Talk plus Avatar. The new menu bar has been simplified - Home, New Message, Mailbox ant Talk plus Avatar. Click on the avatar to display a drop-down menu. You can replace the message already entered in the message box with another sentence. Inside the Message Box, click the Pencil Icon , then the selected message will be highlighted, and the message will be replaceable with another edited message. You can now send messages from 5 sentences up to 15 sentences at once. We have enhanced our system to filter messages that contain repetitive words or phrases, now 3 or more similar repetitive messages will not be sent. If the mail exchange with same country users is not allowed, you will not be able to access the same country users’ profile on Ambassador Ranking as well, so you will not be able to send messages either.